Find out more about keeping horses and ponies. Exmoor ponies are sturdy and extremely hardy. They are coloured bay, dun or any shade of brown and they have mealy coloured markings around their eyes and muzzle. 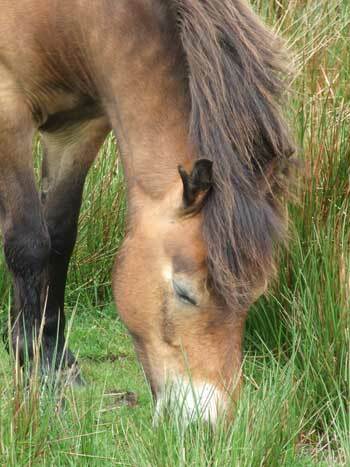 Exmoor ponies are known to be kind, trustworthy and hard working. 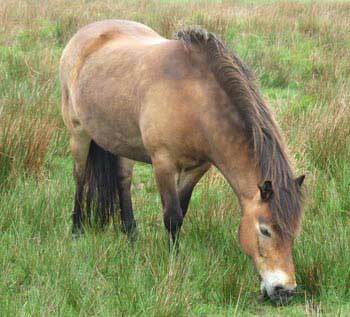 Exmoor ponies are the oldest and most primitive of the British native ponies. Exmoor ponies make excellent children's ponies.